Vittoria and Salvatore Giunta were young peasant farmers from Santo Stefano Quisquina, in Sicily, when they and two of their five young children arrived in Tampa’s Ybor City in 1907. Their goal, like that of millions of immigrants arriving on American shores in that era, was eventually to save enough of their earnings to be able to return to their homeland financially secure. Through their faith and hard work, though, they achieved something quite different: they established their own legacy in their new country. Today, just blocks away from bustling Interstate 4, near the geographic center of the Greater Tampa Bay Area, the Giunta Family Homestead and Farm, first planted in 1922, continues to flourish, not as an adaptive-reuse project or a farm museum but as a working small family farm with its original Craftsman-style bungalow home still intact. The Giunta family arrived in Ybor City in October 1907 with little money and few belongings aside from an abundance of vegetable seeds from their native land. Being farmers, they settled on the sparsely developed eastern edge of Ybor City amid small truck farms, dairies and poultry houses. Renting the attic room of a small house, they soon found jobs in Ybor City’s burgeoning cigar industry. Salvatore supplemented the family income by working as a day laborer on a nearby celery farm, and within months the family was earning enough to rent a small house with enough property to plant the seeds they had brought from Sicily. 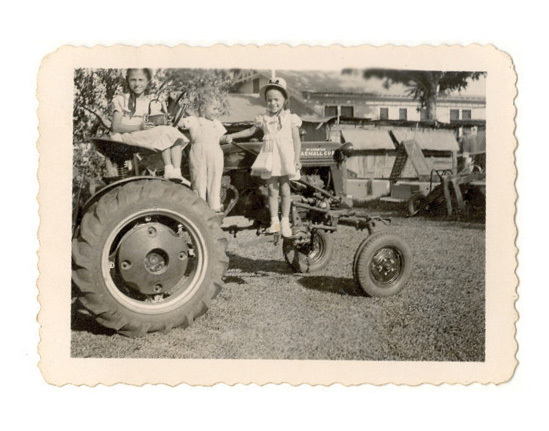 From the beginning, farming was a family activity. Everyone participated in bringing crops to harvest. The first harvest included wild Italian fennel, gidi (a wild Italian chard) and escarole. The yield was so successful that there was enough for the family and a surplus to sell within the immigrant community. Factory workers enthusiastically purchased the fresh produce as they left work, and food that had been harvested early in the morning was sold that afternoon, then served for dinner in the evening. The Giuntas prospered so well that by 1911 they had abandoned their plans to return to Sicily, and Salvatore brought the remaining three children to rejoin the family in creating a new home for themselves in America. Meanwhile, Tampa was evolving into an urban center, and in 1920 the owner of the celery farm where Salvatore had worked when he arrived in Ybor City began to subdivide his land. Two years later, the Giuntas purchased a small parcel—7,500 square feet—for their dream home and immediately planted a crop. Construction started at the edge of the parcel in 1924. 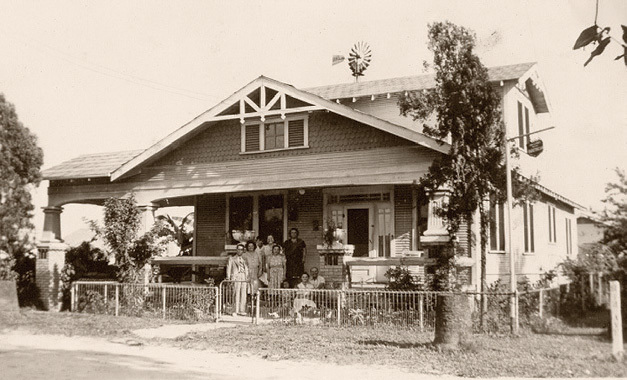 As with most immigrants who settled in Ybor City, the new house was not a replica of a stone or masonry house from their native Sicilian village but rather an American bungalow constructed of wood in the popular Craftsman style of the period. 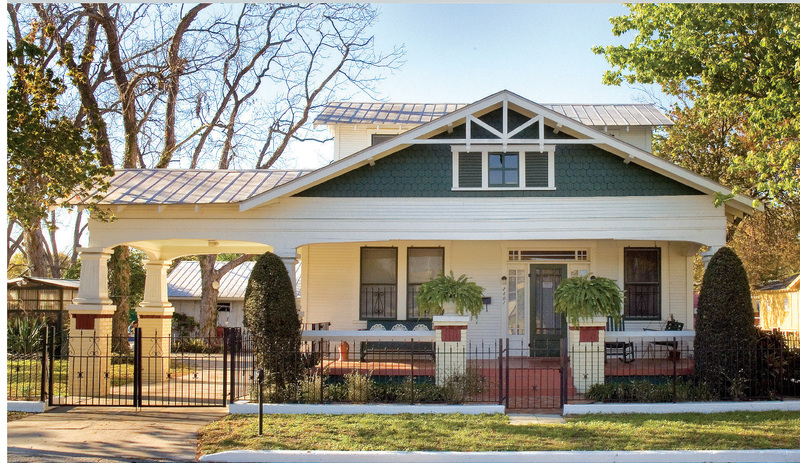 The new home was a generous 2,072 square feet, plus a full front porch. It had a moderately pitched front-gabled roof with an engaged porte cochere and classic Southern-style second-floor camelback. The unenclosed eaves, distinctive square columns sitting on piers, and double-hung windows reinforced its Craftsman character. Custom designed and built by a local Italian-immigrant contractor, the home’s standard Craftsman-style floor plan was expanded to include a Sicilian-style “back room,” located next to the kitchen and used as a family gathering room. Secondary to the living room and dining room at the front of the house, the “back room” served the same function as would the family room in post–World War II homes. The house was completed in time for the Giunta family to celebrate Christmas, 1925. 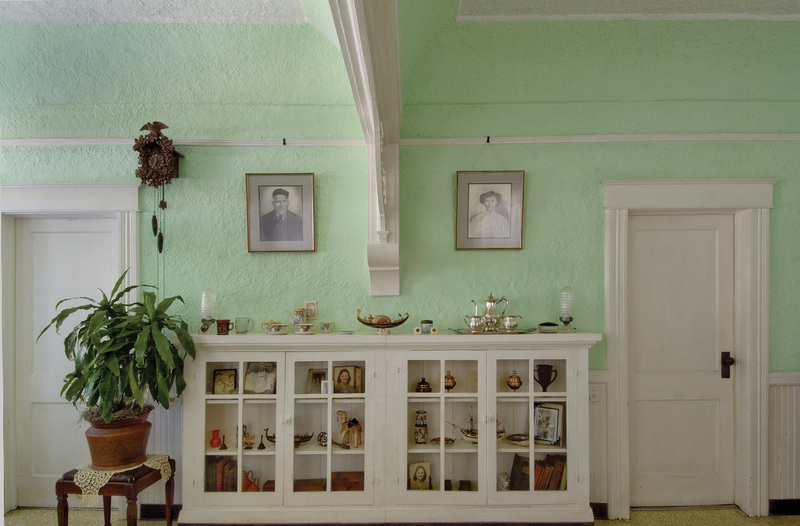 Within a year, the Giuntas’ eldest son built his mother an elaborate “nanna” (grandmother) cabinet. 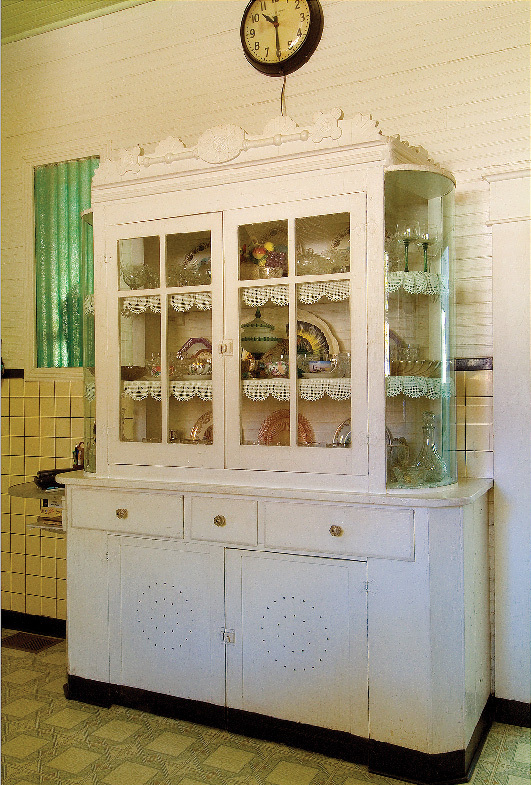 Often the heart of a Sicilian home, a nanna cabinet was used to store and display a family’s china and personal mementos. Victoria’s cabinet was built from recycled materials—wood slates from sturdy apple crates, curved glass sides from a discarded retail display case and a decorative crown from an old circus wagon. Within a generation, Vittoria and Salvatore had achieved the American dream while still maintaining their cultural identity. 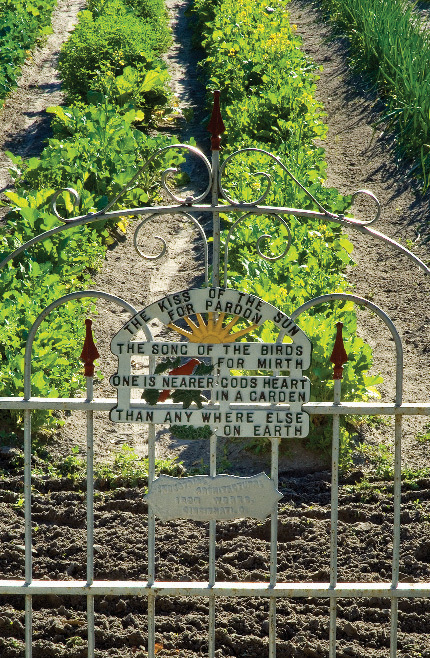 Yearly, with the help of their eight children (three more had been born on American soil), they planted two crops—a cool-weather winter crop oriented toward vegetables and herbs from their native Sicily, and a warm-weather summer crop that included many of the fruits and vegetables from their new country. The farm continued to prosper, and the family began selling heritage vegetables to local grocery stores and Italian restaurants. After World War II and into the 1950s, Ybor City’s cigar factories either moved away or closed. Urban renewal and the interstate highway system reached to within blocks of the farm, but the Giunta family continued raising and selling its heritage vegetables, even as three sons went on to become successful business owners and a fourth began a career as a dedicated school teacher. Dominic, the seventh of the eight children, elected to continue his parents’ farming tradition, maintaining stewardship of the homestead with three of his children— Dominic Jr., Victoria and Beatrice. After Dominic Jr.’s untimely death in 2004, Victoria and Beatrice have continued to maintain the farm. Del Acosta, an American of Sicilian descent, is adjunct instructor of interior design at the International Academy of Design & Technology in Tampa, where he is also a real estate developer and historic preservationist. This article was prepared with the generous assistance of Victoria and Beatrice Giunta, who also provided vintage photos.